Philippe Coutinho has collected the latest Standard Chartered Player of the Month award after fans voted the Brazilian as the team's top performer in November. The Liverpool No.10 has been a regular recipient of the individual honour during the past 18 months and took hold of the trophy once again at Melwood. He actually only featured in two of the Reds’ five fixtures during that period, but it was the quality of his contribution that caught the eye and therefore claimed the prize. Firstly, Coutinho was on target with a precise but ultimately futile finish as Crystal Palace inflicted a 2-1 defeat on Jürgen Klopp’s side at Anfield. Both player and team responded in style after the international break. Coutinho was practically unstoppable at Manchester City, scoring one and setting up another to help inspire a stunning 4-1 success at the Etihad Stadium. 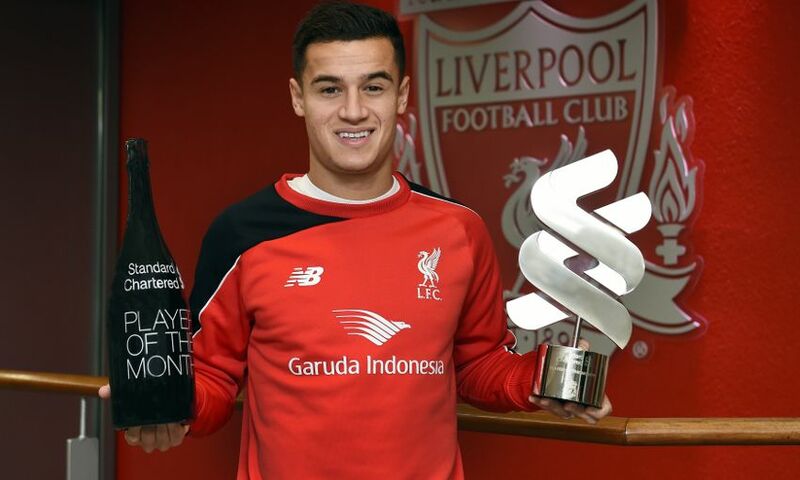 Upon collecting the award at the training ground, Coutinho told Liverpoolfc.com: “It’s very satisfying because it’s voted for by our fans and that means a lot to us. It motivates us even more to play well, to win games and to do it for the fans. The 23-year-old’s recent accuracy in front of goal has further added to a repertoire that makes him one of the most dangerous creative players in the division. He always wants more, though: “My goal is to improve this aspect of my game, not only this aspect, but also others I need to improve.